What is the Final Proof? The final proof is a continuation of yeast fermentation, which allows the molded dough piece to relax and expand. A dough piece that has gone through the sheeting and molding process is degassed and lacks volume. Temperature – A range of 35–37°C (95–100°F) is recommended.1 Temperature and time factors work closely together. During final proofing, starch is converted into sugars via enzyme action.2 The sugars feed the yeast, and the yeast utilizes the carbohydrates in the absence of oxygen to produce carbon dioxide and alcohol. The carbon dioxide is retained in the cells formed in the protein matrix, causing the cells to grow and the dough to expand. 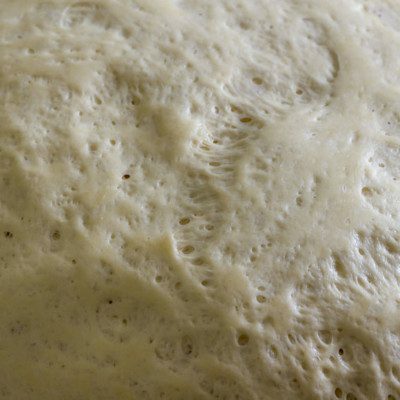 Yeasted doughs need to undergo a final proof after shaping to regain volume and extensibility before being baked. During final proofing, acids are formed through yeast activity and contribute to flavor development. Adequate proof time is needed; otherwise, the dough pieces are unable to relax sufficiently, which can result in poor volume and a dense texture. Final proofing time varies based on different types of doughs. For short mix doughs, final proofing time is short, up to 1 hour. For improved and intensive mix doughs, final proofing time takes between 1 and 2 hours. For bread leavened only by a sourdough starter, proofing times are even longer. Measurement of the height of the loaf is often used to determine when the dough is sufficiently proofed. To achieve its final volume, the dough expands by a factor of three or four during proofing.2 Another way to determine when the final proof is complete is to test the dough for spring.3 Gently press the dough, and if it springs back it is ready to be baked. Pyler, E.J. Baking Science & Technology. 3rd ed., vol. 2, Sosland, 1988, pp. 721–737. Khatkar, B.S. “Bread Industry and Processes.” Directorate of Distance Education Guru Jambheshwar University of Science and Technology, p. 13. www.ddegjust.ac.in/studymaterial/pgdbst/pgdbst-05.pdf. Accessed 22 September 2017. Hollywood, P. “Techniques.” Paul Hollywood – Baking Know How, 10 Sept. 2013, www.paulhollywood.com/baking-know-how/techniques/. overproofed does not nececarrily mean that sugar and yeast are exhausted, usually it means that the gluten reached a point where it is not able to contain the carbon dioxide. Most of the time we can shape the dough again after overproofing and proofe it again if the yeast and sugar would be axhausted we did not have this oportunity. We totally agree. Fermentation solves many issues! Buying a New Oven? Benchmark the Old One First! What’s the Secret to a Good Bake? Don’t Over Do It! Have You Thermal Profiled Your Frozen Dough? Is the Sponge and Dough Method Worth It? Why is Sourdough Bread so Big Right Now? What Bread Production Questions Do You Have? When Does Starch Gelatinization Happen? Don’t Get Sour About Sourdough! Is Mold Waste Hurting Your Bakery? This Pizza Dough Advice Can’t Be Topped! Do You Know What Your Ingredients are Doing? What Quality Controls Do You Have in Your Bakery? Think You’ve Tried Everything to Boost Protein? Check out our Innovation Corner!